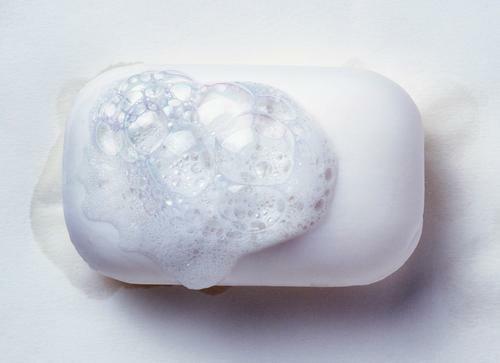 TRICLOSAN, IN ANTIBACTERIAL SOAP,DEODARANT ARE RISKY-HORMONAL CHANGE. Triclosan may cause health problems—doesn’t prevent disease better than regular soap and water. .
New study suggests, one common antimicrobial may be affecting our health. The chemical in question, triclosan, is used in a host of antibacterial personal care products, from hand soaps to deodorants. Now, researchers from the University of California, San Diego School of Medicine say that triclosan could have long-term repercussions for health. The study, published this week in Proceedings of the National Academy of Sciences, shows that exposure to triclosan caused liver fibrosis and cancer in mice..liver toxicity affects humans and mice in a similar way. This isn’t the first time the safety of triclosan has come under scrutiny. Studies have shown that triclosan changes hormones in animals, a CDC study found that 75% of humans have traces of the chemical in their urine, and it’s present in the breast milk of most lactating women. And as it turns out, many scientists agree that triclosan isn’t even more effective than washing hands with simple soap and water. Colleen Rogers, Ph.D., a lead microbiologist at the Food and Drug Administration, has said that antibacterial soaps don’t prevent illness any better than regular soaps. Unfortunately, the FDA started looking at whether it was going to allow triclosan to be used in these products in 1978, yet they never actually finalized that decision. It is up to consumers to decide if using triclosan is worth the potential risk. Harvard pediatrician David Ludwig and the chairman of the Department of Nutrition at Harvard, Walter Willett, think that North Americans do not need to drink milk. Drinking milk appears to increase risk for various diseases and has not been shown to prevent bone weakening (Journal of the American Medical Association Pediatrics, July 2013). I received so many emails after last week’s article about the health dangers of milk that I will try to explain why all non-fermented diary products may be harmful to your health. The component in milk that appears to cause harm is the sugar called galactose. Whole milk, skim milk and other non-fermented milk products contain galactose. Fermenting milk breaks down galactose, so fermented dairy foods such as yogurt and cheese do not contain galactose and therefore appear to be safe. All carbohydrates are made up of separate single sugars, a few sugars bound together, and long chains of sugars. Thousands of sugars bound together are called starch, while millions of sugars bound together are called fiber. Only single sugars are allowed to pass into your bloodstream. Of the many sugars in nature, only four can be absorbed from your intestines to pass to your liver: glucose, fructose, galactose and mannose. Of the four sugars, only glucose passes into your bloodstream. The other three must be converted to glucose in your liver before they can circulate in your body. All sugars can cause cell damage, but galactose may be more harmful than the other sugars that enter your body. Chronic exposure of mice, rats, and Drosophila flies to galactose caused them and their cells to age (Journal of Neuroscience Research, 2006;84(3):647-654). The cells had signs of aging: shorter telomeres and DNA damage. Nobody really knows if galactose is more harmful than other sugars, and nobody has presented a plausible explanation on how it could cause harm. Eating or drinking sugar can cause a rise in blood sugar that can damage every cell in your body. Sugar in drinks causes a much higher rise in blood sugar levels than sugar in food. When food reaches your stomach, the pyloric sphincter muscle at the end of the stomach closes and only liquid soup is allowed to pass into your intestines. So liquid foods pass immediately into your intestines and then into your bloodstream, while solid foods stay a long time in your stomach. Sugared drinks are associated with increased risk for obesity, diabetes, inflammatory-related pain, heart attacks, certain cancers, and premature death. An 8-ounce glass of two percent low-fat milk contains 122 calories, more than a glass of soda, and the type of sugar in milk may be more harmful to your health. It contains more than three teaspoons of sugar, more than current daily recommendations for children. Chocolate milk and other milk-based beverages often have even more sugar added to make them taste better. Last week’s article showed that people who drink milk are not protected from developing osteoporosis (British Medical Journal, October 28, 2014;349:g6015). You can get all the calcium you need from seeds, beans, nuts, green leafy vegetables, sardines and other fish. On a gram for gram basis, cooked kale has more calcium than milk. One serving of broccoli meets your daily requirement for calcium. The negative stigmatism attached to marijuana is due to it’s supposed psychotropic effects, yet again, there is no scientific evidence to show that marijuana has any psychotropic effects. Nonetheless, cannabis has recently been the focus of medical research and considered as a potential therapeutic treatment and HELP for cancer. Cannabis is a great example of how the human mind is programmed and conditioned to believe something. Growing up, we are told drugs are bad, which is very true, however not all substances that have been labelled as “drugs” by the government are harmful. Multiple substances are labelled as a “drug” in order to protect corporate interests. One example is the automobile and energy industry, a car made from hemp is stronger than steel, and can be fuelled from hemp alone. Henry Ford demonstrated this many years ago. Hemp actually has over 50,000 uses! Although Cannabis has been proven to be effective for a large range of ailments, this article will focus mainly on it’s effectiveness in the treatment of cancer. Cannabinoids may very well be one of the best disease and cancer fighting treatments out there. Cannabinoids refer to any of a group of related compounds that include cannabinol and the active constituents of cannabis. They activate cannabinoid receptors in the body. The body itself produces compounds called endocannabinoids and they play a role in many processes within the body that help to create a healthy environment. Cannabinoids also play a role in immune system generation and re-generation. The body regenerates best when it’s saturated with Phyto-Cannabinoids. Cannabinoids can also be found in Cannabis. It is important to note that the cannabinoids are plentiful in both hemp and cannabis. One of the main differentiations between hemp and cannabis is simply that hemp only contains 0.3% THC while cannabis is 0.4% THC or higher. (Technically they are both strains of Cannabis Sativa.) Cannabinoids have been proven to reduce cancer cells as they have a great impact on the rebuilding of the immune system. While not every strain of cannabis has the same effect, more and more patients are seeing success in cancer reduction in a short period of time by using cannabis. All credit goes to Arjun Walia from Collective Evolution for this content. Medical Marijuana in controlled manner-Many states uin USA >22 has legalized medical marijuana(GANZA) and FLORIDA is next.